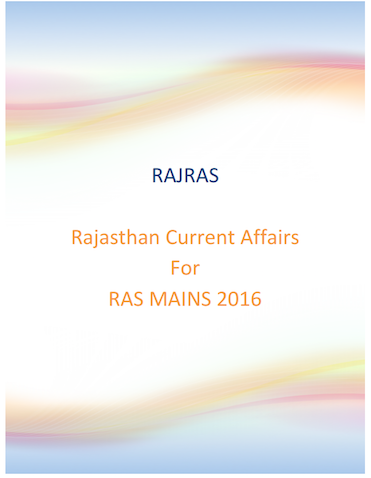 RajRAS Rajasthan Current Affairs is an attempt to consolidate current affairs related directly to Rajasthan in one single document. 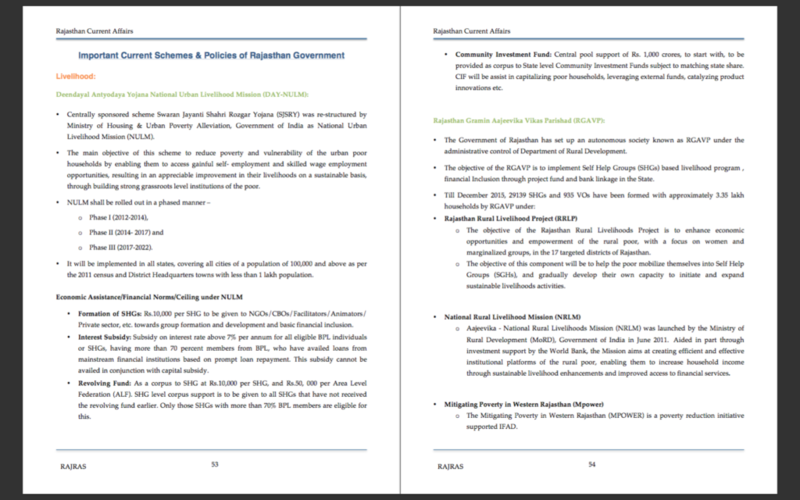 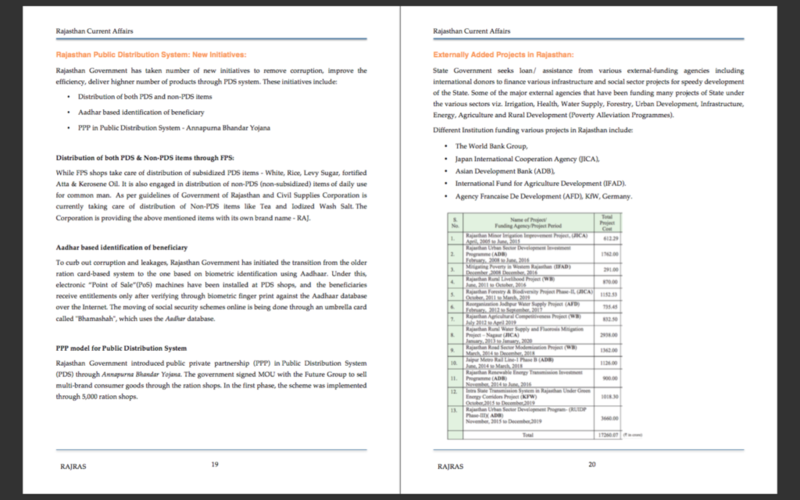 Keeping in priority, the upcoming RAS mains 2016, rather than designing the eBook on month basis (current affairs November 2016, October 2016), we have designed the eBook as current affairs related to topics/areas/sectors. 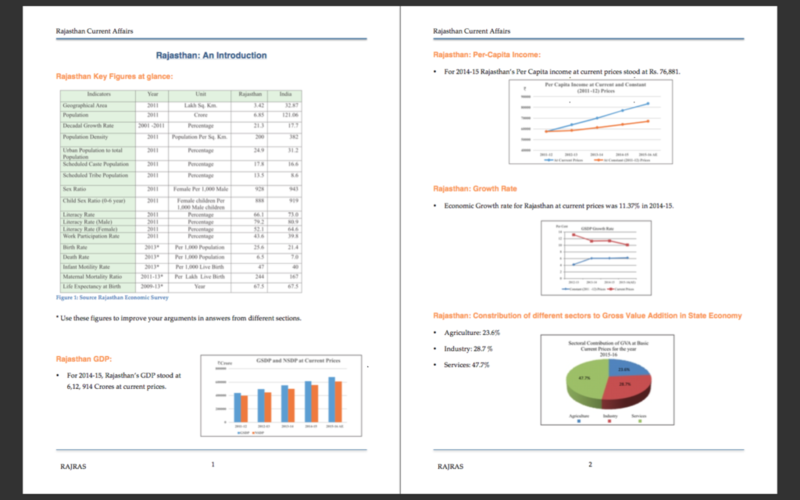 The rationale behind this activity is in RAS mains aspirants would have to write detailed answers and easy to remember & revise things, if all related things are made together. 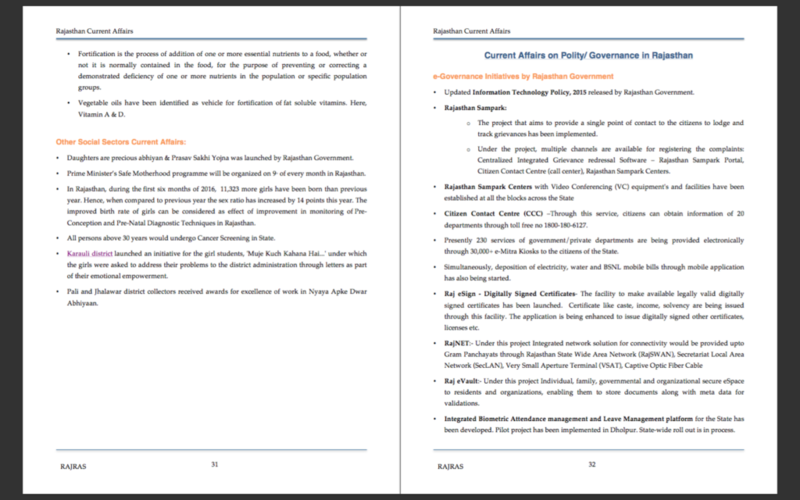 Aspirants writing mains examination should try to incorporate these current events as examples while writing their answers.